Dennis R. Preston (Regents Professor, Oklahoma State University and University Distinguished Professor Emeritus, Michigan State University; Ph.D., University of Wisconsin-Madison) has been visiting professor at the Universities of Indiana Southeast, SUNY Oswego, Hawaii, Arizona, Michigan, Copenhagen, Berkeley, Colorado, and Chicago and Fulbright Senior Researcher in Poland and Brazil; he is currently Co-Director of the Center for Oklahoma Studies at Oklahoma State University and Director of RODEO (Research on the Dialects of English in Oklahoma). He was Co-Director of the 1990 Teachers of English as a Second Language (TESOL) Institute and Director of the 2003 Linguistic Society of America Institute, both at Michigan State. 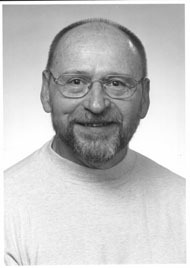 He was President of the American Dialect Society (2001-02) and has served on the Executive Boards of that society, the International Conference on Methods in Dialectology, New Ways of Analyzing Variation, and the Linguistic Society of America, as well as the editorial boards of Language, Impact, International Journal of Applied Linguistics, Kwartalkik Filologiczny, Journal of Sociolinguistics, Compass, Language and Immigration, and others and as a reader for numerous other journals, publishers, and granting agencies. His work focuses on sociolinguistics and dialectology, particularly the revitalization of folk linguistics and perceptual dialectology and variationist accounts of second language acquisition. He has directed four NSF grants, two in folk linguistics and two in language variation and change and is a member of the International Advisory Committee for the LANCHART (Language Change in Real Time) project at the University of Copenhagen and the sociolinguistic survey of Helsinki as well as others. He is invited frequently for presentations in both academic and popular venues. His book-length publications include Soiolinguistics and second language acquisition (1989), A handbook of perceptual diaelctogloy I, with Daniel Long, A handbook of perceptual dialectology II(2002); with Nancy Niedzielski, Folk linguistics (2003); Needed research in American dialects (2003); with Brian Joseph and Carol G. Preston, Linguistic diversity in Michigan and Ohio (2005); with James Stanford, Variation in indigenous languages (2009); and, with Nancy Niedzielski, A reader in sociophonetics (2010). He is a fellow of the Japan Society for the Promotion of Science and the Linguistic Society of America and was awarded the Officer’s Cross of the Order of Merit of the Polish Republic in 2004. He is a recipient of the University Distinguished Faculty Award and the Paul Varg Alumni Award of the College of Arts and Letters, both at Michigan State.